The easiest way to describe coquito [pronounced "koh-kee-toh"] to those who aren't familiar with it, is to call it a "Puerto Rican eggnog." But to be honest, I don't care for eggnog, so even just writing that makes me want to run and hug my bottle of coquito and say "There, there now. I didn't mean it. You're so much better than that." Because it is so much better than that. If you like eggnog. If you like coconut. If you like cold, frothy drinks spiked heavy with rum, you will like this. You will really, really like this. 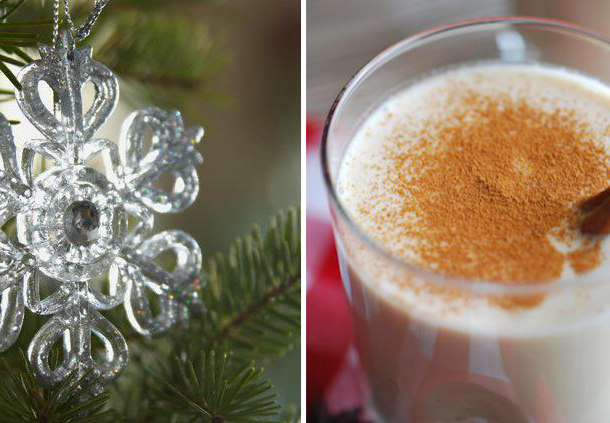 Growing up, my mom would always whip up a few bottles of coquito just before Christmas. My dad would usually commission a couple of them to bring into work to share with the team as a Christmas gift, but we'd keep one for sipping on throughout the holiday season. Because of the rum, this was *mostly* off-limits for my brother and me, but every year, my parents would pour each of us a tiny half-shotglass of it to taste. I remember being very short the first time I tried it; my memories of that moment are kind of hip-level and low to the ground. I was in the living room of our old house on Cleveland Avenue, in some kind of party dress, wearing tights that itched and shoes that pinched, but most of all I remember loving the combination of cool, creamy coconut spiced with cinnamon and vanilla. And knowing that there was a little bit of that usually-forbidden rum in there just made it all the more enticing! It was meant to be our only sip for the night, but--like generations of kids before us--we used to make sure to grab the tiny bits leftover in the grown-up's glasses when nobody was looking. I was going to say something about it being naughty, but I don't really believe that. I hope that when I have kids, they, too, grab tiny forbidden sips when we look away. I made a huge batch of coquito at my Puerto Rican cooking class last weekend, where we toasted and feasted, while traditional Puerto Rican Christmas songs played in the background. The coquito was such a hit, that I split the leftovers into smaller bottles and gave them to my students as a gift to enjoy later. That evening at home, I made another two bottles of it--one to keep in the fridge, and one to share with my neighbors at our building tree-trimming party. It was the first time in four years that I was going to meet many of these people (ones who before today were just strangers on the elevator). I wondered if it was going to be awkward, but as soon as I walked into the lobby with the bottle in hand, one of the other neighbors spotted it and immediately said, "Oh, that looks like coquito!" The conversation and drinks flowed smoothly from that point on, and I'm proud to say that at the end of the night, the bottle was completely empty. Like with all traditional recipes, there are seemingly as many different versions of coquito as there are Puerto Rican families. 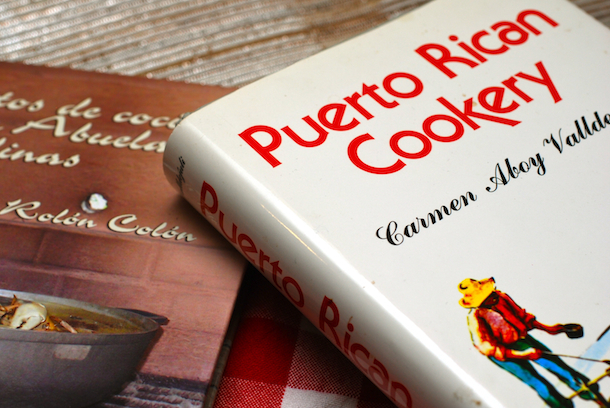 I own four different traditional Puerto Rican cookbooks, each with their own very different interpretation of this recipe. Some recipes call for raw egg yolks to be added, while some allow for a cooking of the eggs into a kind of base custard. Some people will say that coquito with eggs actually isn't real coquito, but actually another drink called "ponche," and some people will say the exact opposite. There are people who will break down a coconut and grate it by hand the old fashioned way, patiently squeezing out the fresh coconut milk. And then there are people who will open up a few cans, whisk it all together, and call it a day. Purists will debate long and hard and loud (especially after a few glasses) about what makes a "real" coquito, but to be honest...I confess that doesn't interest me! Everyone has their own idea about what makes the drink special, and that to me, is part of why it's so wonderful. At the end of the day, it's really hard to go wrong when coconut, sugar, and rum come together. My personal adaptation, which I share with you below, was designed for ease. I don't like raw eggs in my drink, and leaving them out makes this better for gift giving and making in advance, (both of which I highly recommend) so my coquito recipe is egg-less. My recipe is also strong. As in, you can feel it down to your knees after just a sip or two. I like it that way (as do many others), but feel free to cut down on the booze, if you prefer. This is, without a doubt, a rich, sweet, and totally decadent drink. And that is the one thing I will insist it is supposed to be. 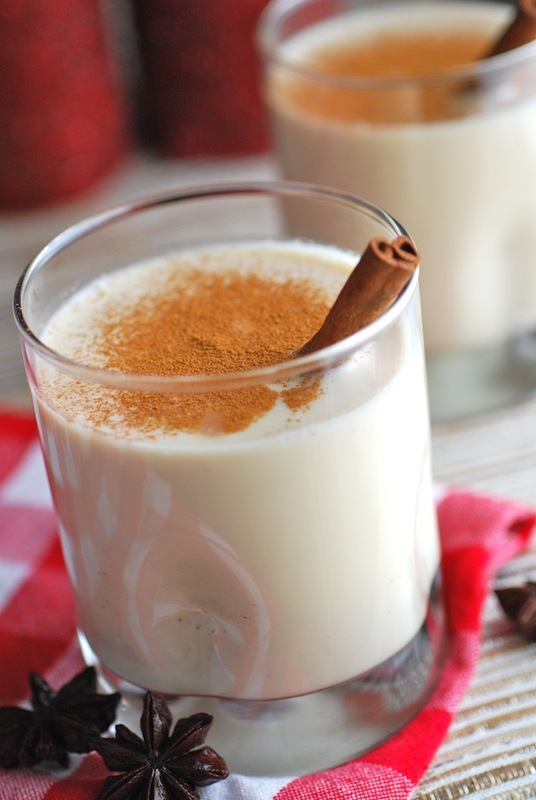 Coquito is made to be enjoyed during just a few weeks out of the year. Enjoyed being the operative word here. A tiny bit of something truly decadent is always going to be infinitely more satisfying than a lot of something that's been lightened just to make it "healthier." Also keep in mind that this is not a drink you pour into a pint glass--in fact, while my photos are pretty (aren't they pretty?! ), I would never serve or drink that much coquito at one time without ice. Coquito is meant to be sipped in small glasses, much the same way you would enjoy an amaretto or glass of dessert wine. If I want more, I sip it "on the rocks"--the ice cuts the strength and makes it delightfully chilly. 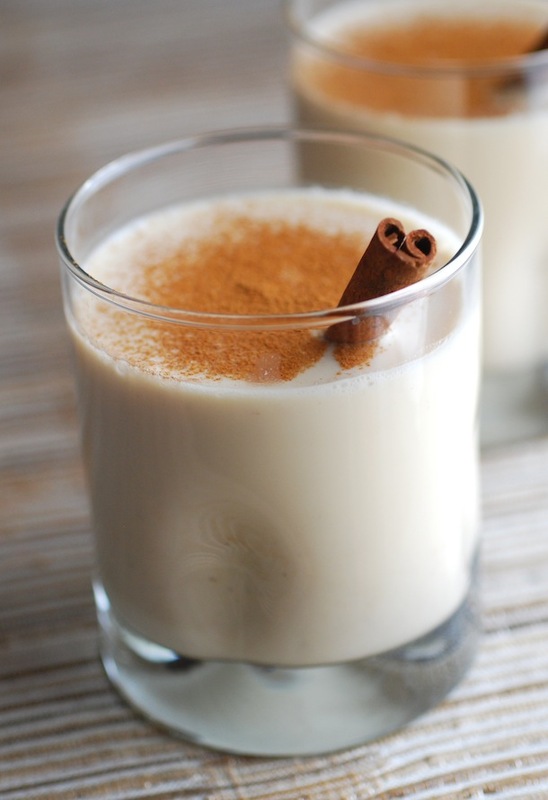 Tip: Feel free to play around with the flavors of your coquito to personalize it! A dash of almond or anise extract would be lovely. Some orange or lime zest would be a fabulous addition. You can even add some cocoa powder or thinned chocolate ganache for a chocolate version! Like I said, I'm not a purist. I just want you to enjoy this as much as I always have, and encourage you to create your own tradition! The best and easiest Puerto Rican coquito recipe made with no eggs. A creamy coconut beverage perfect for Christmas. Includes tips for virgin and low-alcohol variations. Pour into a pitcher or glass bottles with sealed lids and drop in the cinnamon sticks and vanilla bean halves. Cover and chill in refrigerator for at least 2 hours or until very cold. *Want to make it a little bit less strong? To cut the rum, replace the desired amount of rum with equal parts ice cold coconut or whole milk. **For a non-alcoholic or virgin coquito, cut out the rum, and replace it with one cup ice cold coconut or whole milk and one cup ice cold filtered water. ***Like most fats, coconut oil solidifies in the cold, sometimes making this drink very thick after a night in the fridge. Let sit out for about 15 minutes to thin it out before serving, then shake vigorously. If you're in a rush, you can also run the bottle under warm tap water for a minute or so.